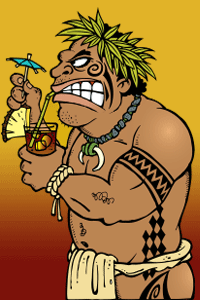 For the past ten years, the Don the Beachcomber Mai Tai Festival has drawn bartenders from around the globe to compete for the title of World’s Best Mai Tai and cash prizes. This annual festival is a full-day, fun-filled event with live entertainment, a pool party, arts and crafts displays, a BBQ Cook-Off Contest, food booths, and lots more. 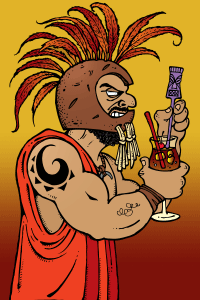 The main event is the exciting action-packed Mai Tai Mix-Off contest. Watch and cheer for the competing bartenders as they create their own potent and signature spin on the historic Mai Tai, an island favorite. The 2018 Festival crowned Justin Park of Bar Leather Apron in Honolulu, HI the winner of the $10,000 first prize and title of "World’s Best Mai Tai". Second place was Kevin Beary of Three Dots and a Dash in Chicago, IL. The third best mai tai recipe was created by Cory Starr, also of Three Dots and a Dash in Chicago, IL. Also part of the Festival’s activities was the battle of the barbeques. The Judge's Award for "Best BBQ" was taken by Diamond Resorts International. The People’s Choice award winner was Cool Runnings Catering. A BIG Mahalo to our sponsors - this event would not be possible without your support. Scroll through our photo gallery above for pictures from prior years' festivals.